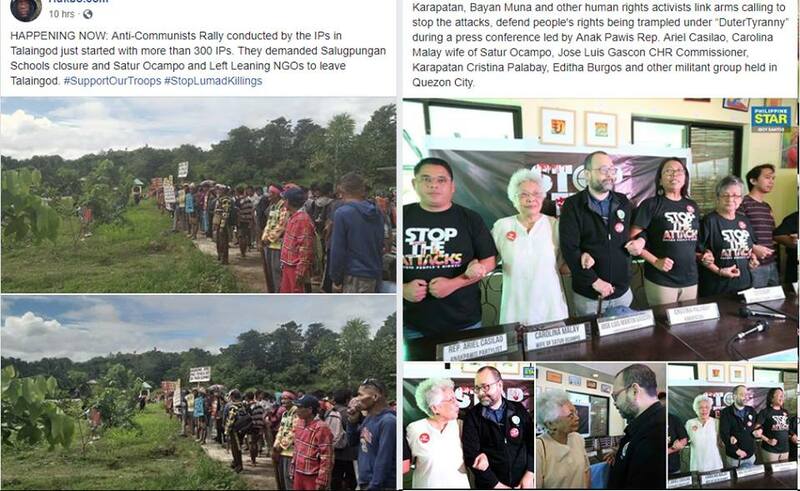 Home / Abe Purugganan / Anakpawis / Carolina Malay / CHito Gascon / CHR / Cristina Palabay / Editha Burgos / Karapatan / Rep. Casilao / Rep. France Castro / Satur Ocampo / Viral Stories / Former Scout Ranger Slams Gascon: "Ipinakita ang Tunay na Kulay, Komunista ang CHR"
Former Scout Ranger Slams Gascon: "Ipinakita ang Tunay na Kulay, Komunista ang CHR"
Former Army Scout Ranger and retired Philippine Army Major Abe Purugganan slammed Commission on Human Rights Chairman Chito Gascon for allegedly protecting the rights of the Satur Ocampo and France Castro. According to Sir Abe Purugganan, the CHR Chairman Chito Gascon just revealed his true colors which is a communist. With the recent investigations of the CHR and the continous appearance in the mainstream media showing his defense of Bayan Muna and ACT-Teachers partylist as they called the government to stop the alleged attacks against activists only showed the true colors of the CHR and Karapatan as they don't care about the rights of the Lumads because they care only for the rights of the activists. According to CHR and Karapatan they are calling to stop the attacks, defends people's rights being trampled under the administration of Pres. Duterte in a press conference led by Anak Pawis Rep. Casilao, Carolina Malay wife of Satur Ocampo, Luis Gascon of CHR, Cristina Palabay of Karapatan, Editha Burgos and other militant group held in Quezon City. The gatherings of prominent activists in the country together with the Commission on Human Rights Head caught the attentions of Pro-Duterte bloggers and supporters and one of them is a former Army Major and veteran intelligence officer of the Philippine Army, Major Abe Purugganan. Netizens also reacted with the recent activities of the CHR in dealings with the problems of the Lumads and the arrests of the activists who were exposed on how they treat the IPs in Mindanao. Boyet Madrigal: Pres Digong and your allies in Senate and Congress, please do something about this Gascon and CHR. Its now very obvious, they are now "sleeping with the enemies of the state" and yet wasting our (taxpayers) money. Congress, please do your oversight function and protect peoples' (the majority) welfare and money. Its too obvious CHR has become an instrument of the Left and can never be fair and not biased anymore in fulfilling its mandate. Its a waste of peoples' money already to support its existence. Don't wait for people to do the extremes just to get rid of these people. Patience has its limits.